The 5,100-tonne KOTI was detained two weeks ago at the South's port of Pyeongtaek-Dangjin and its crew are being investigated over the alleged ship-to-ship transfers, Yonhap news agency cited local maritime officials as saying. Seoul, South Korea: South Korea has seized a Panama-flagged ship suspected of transferring oil products to North Korea in breach of UN sanctions, a report said Sunday. It was the second such seizure to be reported in days. 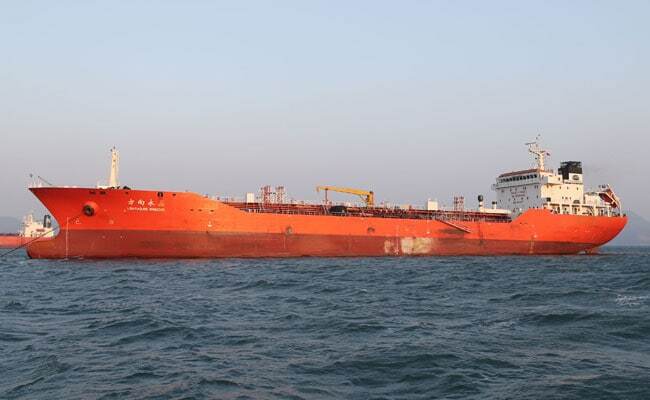 The South Korean government announced Friday that it briefly seized and inspected a Hong Kong-registered ship in November for transferring oil products to a North Korean vessel. The Panamanian tanker was banned from leaving port following a government meeting on December 21, the report said. Its crew -- mostly from Myanmar and China -- were being questioned by the customs office and the intelligence agency. "The vessel is under inspection for alleged ties with North Korea," a government official said, according to Yonhap. Authorities were not immediately available for confirmation of the report. The Hong Kong-registered Lighthouse Winmore, which was chartered by a Taiwanese company, was seized at the South's port of Yeosu in November for allegedly transferring refined petroleum products to the North's Sam Jong 2. The Lighthouse Winmore visited Yeosu on October 11 and loaded some 14,000 tonnes of Japanese refined oil before heading towards its purported destination in Taiwan. Instead of going to Taiwan, however, it transferred 600 tonnes of oil to the North's Sam Jong 2 in international waters off China, South Korean customs service officials have said. Four ships -- three North Korean vessels and a Palau-flagged oil tanker -- were blocked from international ports by the UN Security Council on Thursday on suspicion of carrying or transporting goods banned by the sanctions. China has rejected accusations that it helped Pyongyang circumvent sanctions after US President Donald Trump claimed on Twitter that Beijing was turning a blind eye to oil transfers to North Korea.